Indonesia is the largest Muslim country in the world. The total population is about 240 million, with over 200 million claiming Islam as their religion. 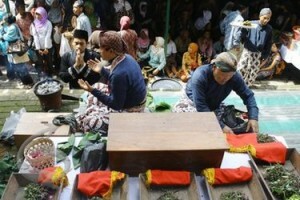 Most Indonesian Muslims are Sunni, while there is a small group of Shi’ites. Whether an Indonesian is a Sunni or a Shi’ite, he is probably a “folk Muslim.” Folk Islam mixes animistic practices with orthodox Islam. To Westerners and the Orthodox Muslims of Saudi Arabia, Iran, etc, folk Islam contradicts formal Islam. Yet, those who practice it rarely see themselves as syncretists, but as genuine Muslims. Folk Islam is practiced because formal Islam does not answer the questions of everyday life, but only deals with ultimate issues of life, i.e., origins, heaven, hell, purpose. It is cognitive, legalistic, and institutional. But folk Islam gives an answer to everyday concerns of health, guidance, and success. It is emotional, mystical, and inspirational. Indonesians are terrified of spirits. They have many ceremonies to appease these spirits. These ceremonies infuse every part of life, from the big businesses in the city to the family in the village. One common ceremony is to sacrifice a chicken before building a house. The chicken’s head, feet, and wings are buried under the foundation stones, with the head facing east and surrounded by rice and spices. The chicken’s blood is then spread on the stones and a coin is placed under each cornerstone. Once this has been done, the house can be built. Sometimes a bigger animal is sacrificed, such as a goat. Families are not the only ones who do this. A similar ceremony was done for one of the big malls in Bandung, the third largest city in the country! Another aspect of folk Islam is to make pilgrimages to places of power. There are several of these in Indonesia. One area is Banten, at the most western end of the island of Java. 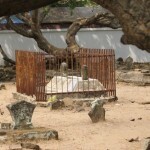 There are nine graves in Banten that people go to for help. 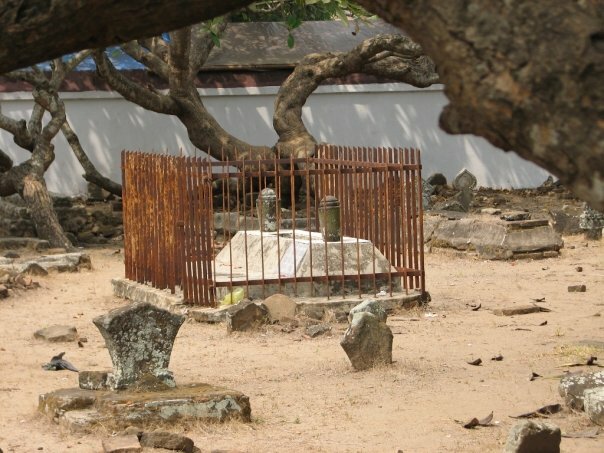 The most famous grave in Banten is Sultan Maulana Yusuf’s. Indonesians believe that he is the oldest relative to Muhammad. As a result, it is a center for spiritual blessing. Some people are able to communicate with Yusuf. One man in Banten can communicate with all nine of the sultans. He went to Yusuf’s tomb and prayed for a son. He already had daughters, but no sons. Not long after that, his wife had a dream where the sultan appeared to her and told her that she would have a son and that she was to name that son after him. Once he was born, the son was to be taken to the sultan’s tomb and dedicated to him. His wife did become pregnant, and she and her husband named their son after the sultan and dedicated him to the sultan, just as they were told. When visiting the tomb, pilgrims must do specific rituals as well as chanting the Quran and praying. Fasting and meditation are important, and the sultan’s name must be said in the prayer. Pilgrims must get water from the building at the gravesite and take the water to the grave’s doors. The grave is actually behind closed doors. Visitors cannot go all the way to it. Pilgrims also put flowers in front of the grave, and throw flower petals at the doors. They put the water and the flowers in front of the grave to absorb the blessing from the saint, then take the flowers and water home with them. If a person is sick, he will drink the water to be healed. The flower petals are put into bath water to cleanse the person’s soul. This article is taken from interviews by the author and from Muslims, Magic, and the Kingdom of God by Rick Love.